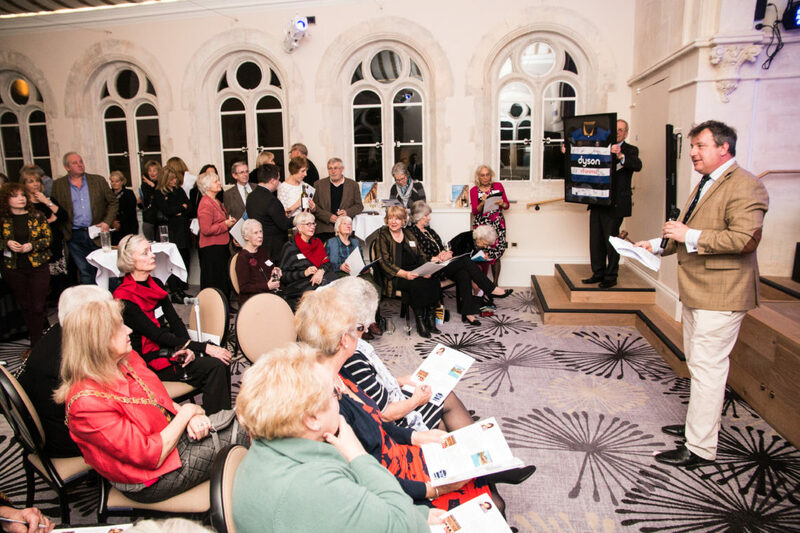 Thank you very much to the 80 people who attended the Bridgemead Charity Auction at the glamorous Gainsborough Hotel on Wednesday 7th March. Addison Gelpey was the auctioneer and did a brilliant job of selling the money can’t buy prizes including a tour of the House of Commons with Wera Hobhouse, a Westminster experience with Lord Foster of Bath, and a trip behind the scenes at the Holburne Museum with the Director, Dr Chris Stevens to raise over £6500 for the not for profit residential and nursing home. Matthew Blower of Fine & Country Homes of Bath, a sponsor of the event said: “We wanted to show our respect and appreciation for all the incredible work that Bridgemead achieves and to highlight this to our community.” Bridgemead are very grateful to Wessex Water and the Gainsborough Hotel who also sponsored the event and to all the generous donors of the fabulous prizes offered for sale in the auction.